Last week, with Manhattan Community Board 1, BPCA hosted the first in a series of public meetings about the BPC Ball Fields Resiliency Project. 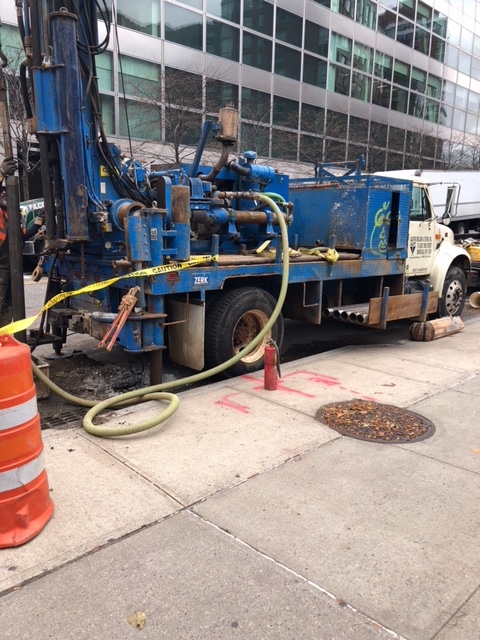 This week, as part of that project, we are beginning geotechnical work around the exterior of the fields, including drilling to assess subsurface conditions. This work is occurring during normal construction hours, beginning at roughly 9:00am and concluding by 4:00pm daily through Friday, December 7. Noise from this work is expected be minimal, and will not impact use of or access to the Ball Fields, which are open from 9:00am-8:00pm daily. For more about BPCA’s resiliency projects, click here.